After the throngs of tourists have departed Italy’s grand cities and the oppressive heat of summer has waned, Italy in autumn takes on a new persona. This is a time of harvest and celebration, and as we discovered there are plenty of reasons to get behind the wheel and drive deep into the heart of Italian culture. Italy is famed for producing some of the world’s finest food and wine and much of the Italian culture is connected to the land. From rustic sagres or festivals in hill-top towns, to prestigious international fairs in Italy’s largest cities, food and wine connoisseurs from across the world will come together in celebration of Italy’s revered produce. 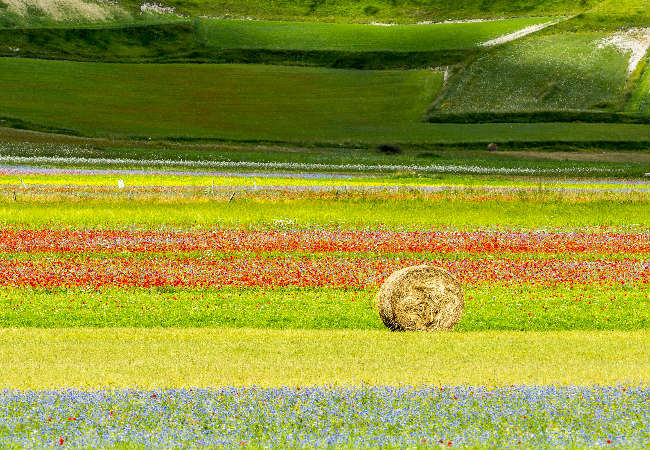 With a luxury car from Europe Luxury Car Hire you can travel through the heart of Italy in search of the finest truffles, wine, chestnuts and even potatoes. We discovered a different side to Italy this Autumn driving through the gastronomic capital of the world. Make a note in your diary for next year or book a last-minute escape as there are still many yet to come. 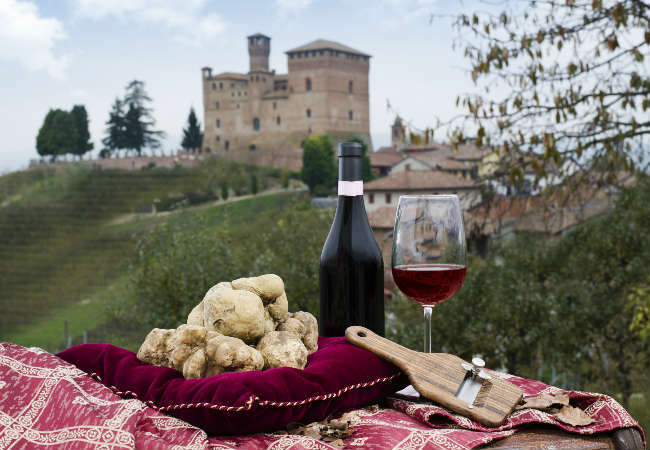 Whilst truffle festivals take place across northern and central Italy each autumn, it is the exclusive Alba White Truffle Festival in Piedmont, northwest Italy that attracts international attention. From now until mid-November, the great and the good of the culinary world will descend on Alba to sniff out the finest white truffles this season has to offer. This festival dates back to 1928, and it has grown significantly in recent years to offer wine tastings with expert wine makers, chef led workshops and special menus to complement this much-revered aphrodisiac. Each truffle is inspected for authenticity and you can even take the opportunity to join a truffle hunt with a trained guide in nearby woodlands. Alba lies some 45 minutes from Turin Airport (TRN), and 2 hours south-west of Milan. Aside from the Truffle festival, why not have a little fun exploring the wonderful Piedmont wine region or discover the wonderful architecture of the city of Turin. Check current prices and availability for holiday accommodation in Alba. The Feste delle Castagne (Chestnut Festivals) take place across Umbria and Tuscany throughout October, and what better excuse than to take a driving tour through this wonderful region of Central Italy. Once a food staple and used for everything from flour to roof beams, no part of the Chestnut tree was wasted. We travelled deep into the Umbrian countryside to the small hilltop town of Preggio and discovered some of Italy’s most delicious traditional chestnut recipes. It’s one of the best-known chestnut festivals in the region. We joined local villagers to celebrate the many wonders of the humble chestnut. 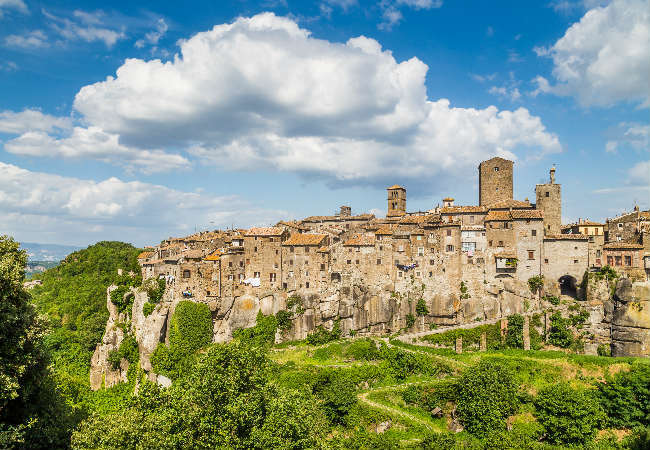 Just a short drive from Preggio lies the historic university city of Perugia, the capital of Umbria. With grand buildings and historic monuments, it is a fascinating city to explore in its own right, but one of the best reasons to visit the city this autumn is the prestigious EuroChocolate Festival. 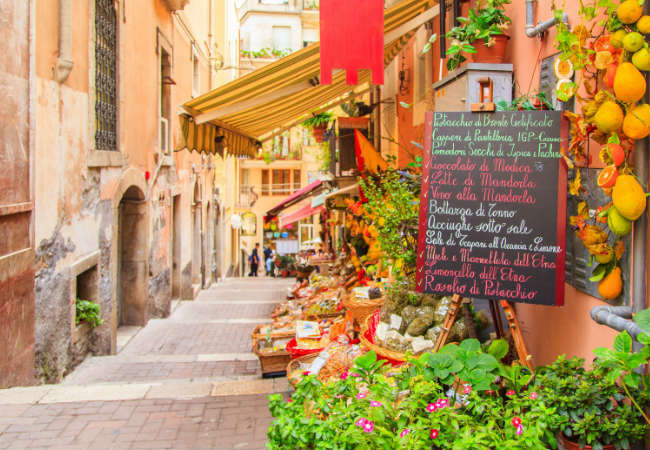 Dedicated to the great tradition of Italian and international chocolate, the city’s streets come to life with exhibitions, tastings, and chocolate sculptures. Check current prices and availability for holiday accommodation in Umbria or Tuscany or the city of Perugia. For some guaranteed autumn sunshine in the stunning Italian countryside, a drive through the beautiful Lazio region in a limited edition Lamborghini Gallardo Spyder is guaranteed to bring you fun. We took a driving tour of the Roman countryside, and came across the town of Marino, just 21km from the city of Rome. Marino is a town famous for its white wine, and it’s annual grape festival, held since 1924, is a truly celebratory affair. Taking place on the first Sunday of October, we were treated to costumes, processions and music, as well as the brilliant spectacle of wine spilling from the town’s Fountain of the Four Moors for all to enjoy. It was very much a local affair, offering visitors an authentic taste of Italian life. Check current prices and availability for holiday accommodation in Marino. Another great wine festival to visit is held each year just outside the lovely hilltop town of Locorotondo in Puglia. In the morning everyone joins in with the harvesting of the grapes accompanied by traditional music, followed by a typical local lunch before the games begin, including a race to see who can press the most grapes with their feet with contestants standing in huge barrels. Ladies are busy cooking frittelle, deep-fried turnovers stuffed with cheese. A gentleman with the most fabulous of beards drives families around in a horse and cart, just for fun. And when the games are over, the music strikes up and dancers in their red, black and white traditional costumes are getting ready to perform. Check current prices and availability for holiday accommodation in Puglia. 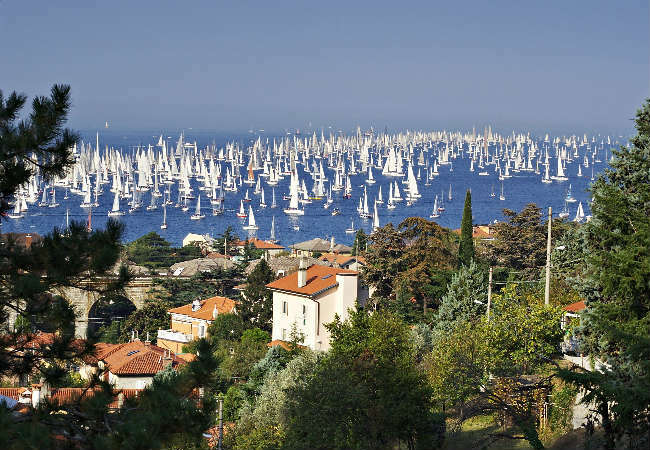 While not strictly a festival of food, we can’t ignore the Barcolana Regatta, which has just taken place in the Bay of Trieste. Set a date for next year flying to Trieste-Friuli Venezia Giulia Airport (TRS) or Venice Airport (VCE) and make your way to the centre of one of Italy’s most sophisticated yachting events. Each October, thousands of yachts from across the world descend on Barcolana for this spectacular week-long celebration of sailing. The Regatta is a serious affair, attracting famous yachtsmen and sailing lovers alike. In addition to the Regatta itself, you’ll be treated to a festival of food along the River of Trieste, evening concerts and a vintage and classic yacht boat race. Exploring rural Italy in Autumn is a treat not to be missed and we are already planning our route for next year to take in the best that the region has to offer, joining in the celebrations of the harvest at this magical time of year. Guest post by Europe Luxury Car Hire, a company renting luxury cars in Italy and throughout Europe. Glad you enjoyed it. I too love Italy but I’ve lost count of how many times I;ve been but still so many wonderful places I’ve yet to visit.